REALITY television. Put those two words together and it's more of an oxymoron than a description of something stunningly realistic. But Samsung is hoping to change all that with an 8K television range which will hit Australian stores in 2019. The resolution is so good that it's been dubbed 'perfect reality' by the biggest maker of televisions in the world for the past 12 years. Samsung and rival LG Electronics both unveiled their new generation TVs at IFA - Europe's huge consumer electronics show in Berlin. HS Kim, president and CEO of Samsung's consumer electronics division spoke pasisionately about cutting-edge Artificial Intelligence (AI) products and services and strong focus on connecting everything from TVs, audio, home appliances and mobile phones. "We are striving to shape a new era of connected living, where our products and services seamlessly interact with one another to make our consumers' lives richer, smarter and more entertaining." Samsung is investing billions in AI, developing new research centres around the world. By 2020 it plans to have more than 1000 AI researchers working on more personalised and intelligent products and services. 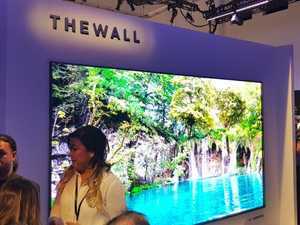 But it was the huge 8K television displays, along with The Wall and The Frame TV series, which stole the show. Samsung is buoyant about projected demand for 8K televisions, pointing out that when 4K was first introduced in 2013, the new technology garnered only 3 percent of the market. Now, more than 90% of televisions 55 inches or larger are 4K. By 2022, Samsung predicts that more than 5 million televisions which are 75 inches or larger will be sold, compared to 1.9 million this year. 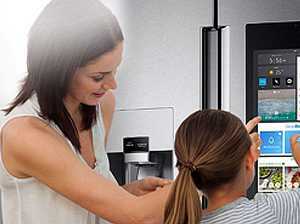 "The time has come for us to champion the next era in screen resolution,'' Kim said. How will 8K TV work in regional Australia? 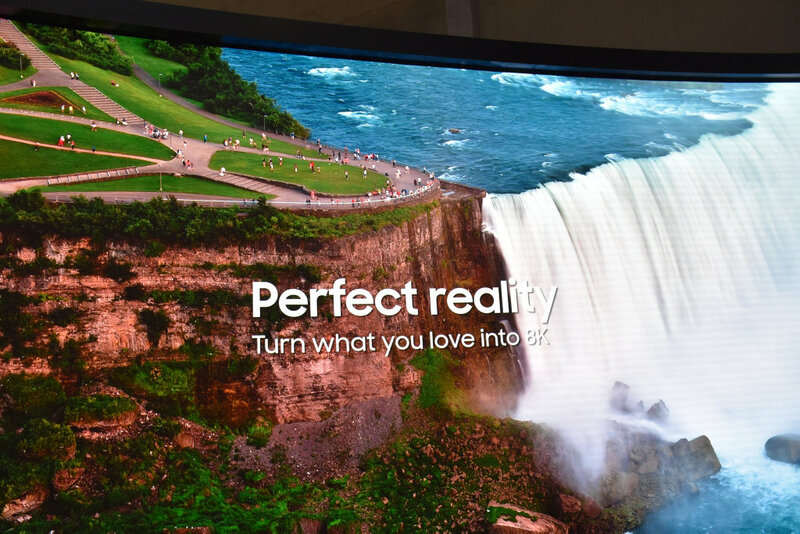 : Samsung explains how its new 8K televisions will work in regional Australia, where internet connections are not as good. The Q900R QLED 8K uses artificial intelligence to upscale a whole range of content - from movies to sport from lower resolution to 8K. That capability will be particularly relevant in regional markets dogged by slower NBN speeds. 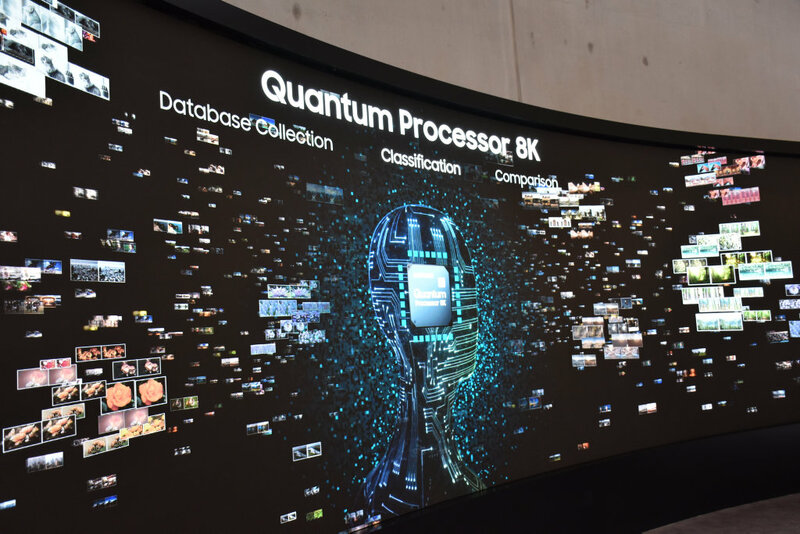 Available in four ultra-large screen sizes (65", 75", 82" and 85"), Samsung QLED 8K TV will feature several 8K-ready enhancements, including Real 8K Resolution, Q HDR 8K and Quantum Processor 8K. Real 8K Resolution can produce 4,000 nit peak brightness - a standard met by most film studios. The Wall television will come in custom shapes and sizes, making it ideal for an office lobby, hotel suite or luxury retail store. The next evolution of the award-winning lifestyle TV, The Frame will be available in Australia from September 30. It will include access to more than 800 available works of art. Hass Mahdi, Head of Audio Visual, Samsung Electronics Australia, said: "The entertainment experience in our lounge rooms is changing and Australians expect more from their TVs. The Frame delivers this by enhancing the look of any space, displaying art when it's off and TV when it's on." "The Frame is more than just a TV. It delivers stunning picture quality for an incredible viewing experience, the elegance of the cord clutter-removing One Clear Connection cable, and the ability to enhance any space by displaying over 800 works of art." Samsung has also announced a collaboration with renowned photography agency Magnum Photos with the release of 28 specially-curated photographs available exclusively in the 'Art Store' on 'The Frame' for 2018. READY FOR 8K? : LG has unveiled what it is calling the world's first 8K OLED TV at the IFA technology show in Berlin. LG is sticking with its OLED driven technology, arguing it will continue to dominant the ultra premium market for users who want the most vivid pictures with the deepest blacks. 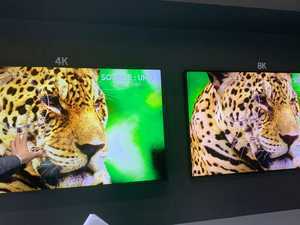 It's 'world first' 8K (7680 x 4320) OLED TV was also aunched at IFA 2018 in Berlin. The 88-inch 8K LG OLED TV features over 33 million self-emitting pixels. TCL is also joining the 8K party, confirming the product will be coming to the Australian market. Its Australian range for 2019 includes the X8, X10 and Frame TV+. The X8 is a 4K QLED TV that supports Dolby Vision and HDR10+. 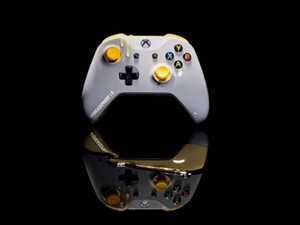 It has an integrated Onkyo soundbar.